Huma Abedin is in more hot water as evidence comes out that she shared State Department passwords via a “wide open” server. The account was hacked by a Russian agent! It’s so ironic that the Democrats keep pointing fingers at President Trump with claims he helped the Russians. Hillary Clinton’s State Department gave the Russians everything they needed via security breaches! –100%FedUp. President Trump slammed Huma Abedin over reports that the longtime Hillary Clinton aide forwarded top-secret passwords to unsecured personal email accounts, which were then hacked by foreign agents. “Crooked Hillary Clinton’s top aide, Huma Abedin, has been accused of disregarding basic security protocols. She put Classified Passwords into the hands of foreign agents. Remember sailors pictures on the submarine? Jail! Deep State Justice Dept must finally act? Also on Comey & others,” President Trump tweeted on Tuesday. Abedin forwarded sensitive State Department emails to her insecure Yahoo email accounts, which were later hacked by foreign actors. Russian agents were reportedly among the foreign nationals that hacked Abedin’s emails. 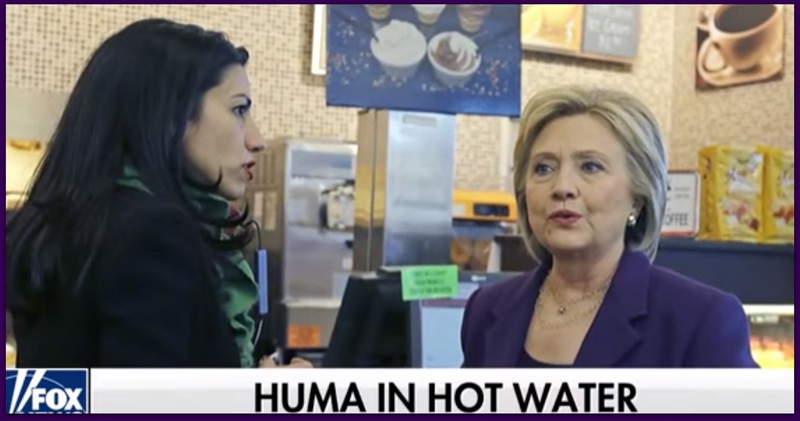 Via Luke Rosiak of The Daily Caller: Huma Abedin forwarded sensitive State Department emails, including passwords to government systems, to her personal Yahoo email account before every single Yahoo account was hacked, a Daily Caller News Foundation analysis of emails released as part of a lawsuit brought by Judicial Watch shows. According to The Daily Caller report, the three email accounts Abedin used were [email protected], [email protected], and [email protected] Read more at TGP.